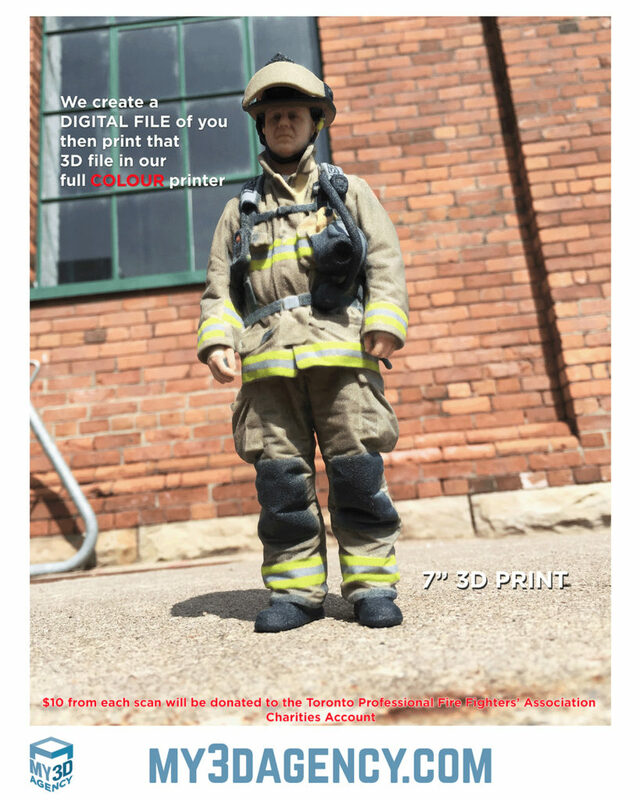 Have you ever wanted a photo-realistic, fully colored mini model of yourself? 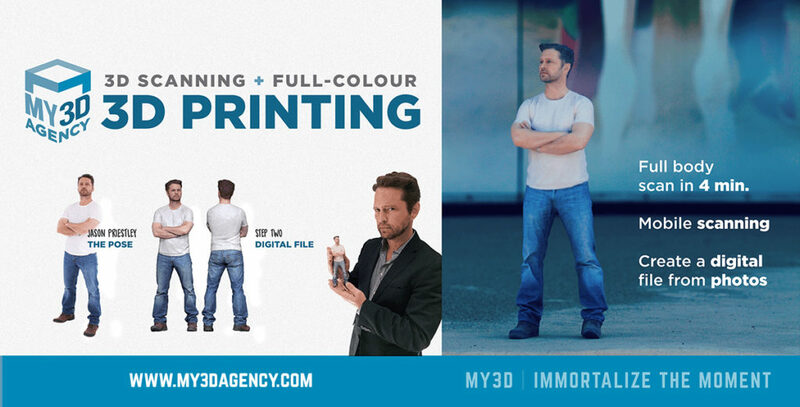 My3DAgency, a 3D scanning and printing company has just moved into our space and can help you create any kind of digital asset including a photorealistic model of yourself! In just minutes, they can “immortalize the moment” and your whole body can be scanned in full detail to create a flawless 3D model. My3D uses an Artec Scanner called the “Eva”. This scanner combines structured light and photogrammetry in order to generate a 3D model which can be printed in full color. The scanner works with the Artec software to generate a visual model from the scan. Another scanner called the “Spider” scans small objects and objects that require incredible detail such as jewelery or complex textures. The model can then be printed on a full color printer called the ProJet 660. This is a powder based printer that prints in full CMYK and can produce 256 thousand colors. 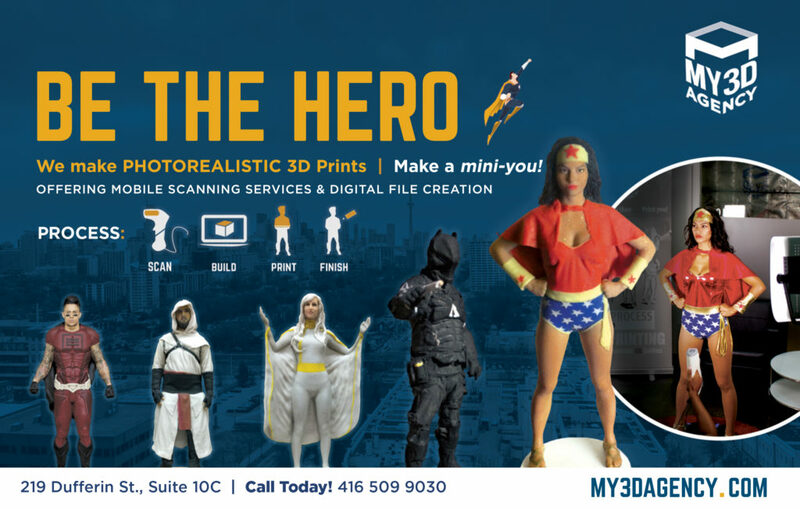 The resulting 3D prints are often used as collectibles, keepsakes or fan expo and are truly pieces of art. Below are some examples of their recent work! or come by our office in person!